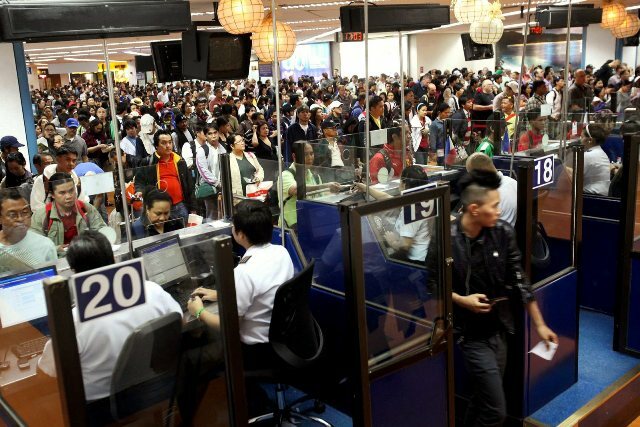 A lawmarker has backed calls for parity in travel conditions between the Philippines and the United States through imposition of visas for Americans coming to the Philippines or removal of the existing visa requirements. “There are two ways we can achieve parity. Either we obligate Americans traveling to Manila to first secure a Philippine visa, or the US removes the requirement for Filipinos to get hold of a US visa before they can travel to America,” Surigao del Sur Rep. Johnny Pimentel said, adding that requiring US citizens to obtain a Philippine visa could generate $125 million (P6 billion) in revenues. “This is assuming we ask each visiting American to pay a $160 visa application fee – the same amount the US Embassy in Manila asks from every Filipino seeking a US visa,” Pimentel said. Pimentel is not the only member of the House of Representatives who expressed support for this move. Speaker Pantaleon Alvarez earlier supported President Rodrigo Duterte’s call for “reciprocity” in travel rights between the Philippines and the US. Pimentel said parity could mean additional good-paying jobs for college-educated Filipinos trying to enter the Philippine foreign service. “We could use some of the P6 billion annual income to employ a large number of young Filipinos as vice consuls, and deploy them to Philippine consular offices in the US. so they can process the Philippine visa applications of American citizens,” he said. At the moment, Filipinos traveling to America, regardless of purpose, need to apply for a visa worth between $160 and $265 non-refundable fee, and appear for personal interview with a consular officer who may approve or reject the visa application. In contrast, Americans traveling to Manila enjoy visa-free entry to the Philippines for stays less than 30 days. Pimentel said there is nothing anti-American about the move. “This is all about equality in treatment. Our people-to-people, business-to-business as well as government-to-government relations with the US remain sound,” Pimentel said. Besides helping in revenue collection, Pimentel believes requiring Americans to apply for a Philippine visa would also help catch fugitives entering the country. Americans comprise the second-largest group of foreigners visiting the Philippines every year, next only to South Koreans, according to the Department of Tourism. The Philippines is not among the 38 countries allowed to travel to the United States without a visa for tourism or business purposes.